Click the red logo to read the publication in ELE times. Also read the publication in Design Solutions magazine. 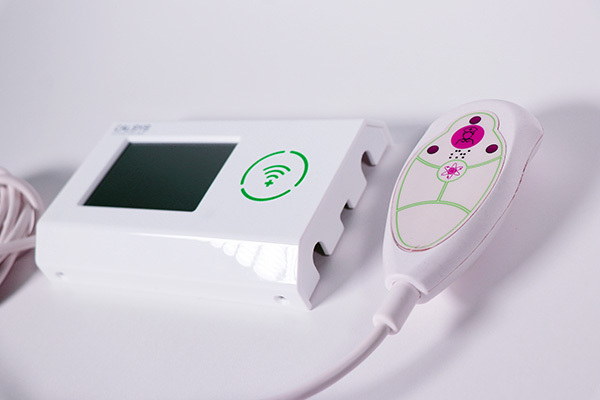 Smart electronics: Reliable and affordable from idea to volume production with Screvle. It is an innovative, phased approach which launched series of thousands of electronic devices in the market. Many smart, connected systems, e.g. for Internet-of-Things applications, experience problems with electronics design and production. With its innovative approach, Screvle in Rotselaar, Belgium, executes these steps more rapidly, reliably and affordably. At the core is a modular electronics platform that the company develops since more than five years. The platform enables customers to spread their investments over multiple phases in order to market their solutions faster and optimise the design more efficiently for increasing production volumes. 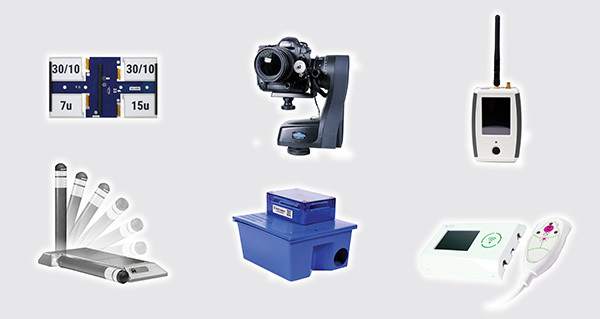 The series of thousands of devices in the market prove the robustness of the custom electronics solutions. Screvle executes the phased process in partnership with customers and minimises the technical and business risks towards a reliable and affordable series product. 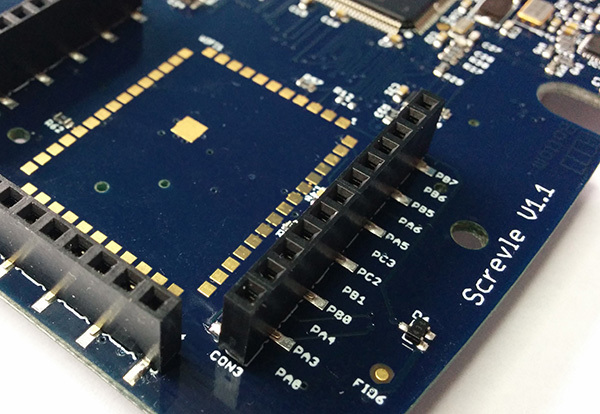 Screvle grows rapidly and serves diverse verticals by developing electronics for e.g. 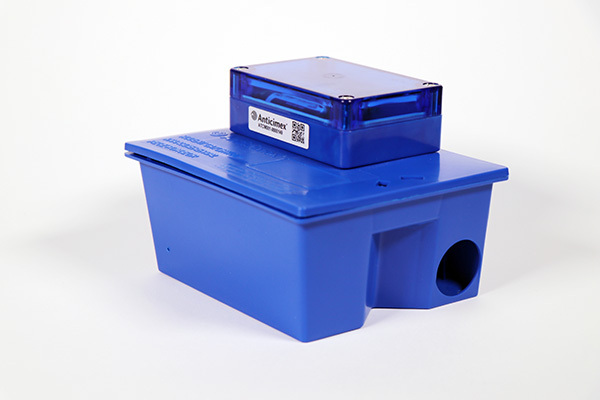 smart traffic signs, track & trace solutions, terminals for care centers, and even intelligent mousetraps. Building custom electronics is often underestimated. Starting your own developments and calling in various specialists soon becomes expensive and time consuming. In addition, connected systems today are more complex which makes doing everything in-house increasingly difficult. Evolving from a crafted demonstrator to a saleable series product is a lengthy and risky process. Generally, after the market introduction, more defects than expected appear and problems arise with product upgrades. These obstacles hurt the potential of smart, connected solutions which is a pity for the many proven business cases out there. Recently, Screvle developed a NB-IoT test system for a large European telecom operator. The device verifies NB-IoT connectivity on diverse locations and is used by the telecom operator and its customers. The Specifications and feasibility study really proves its value on the practical level. For an American multinational, Screvle has downsized an extensive and complex project to a pragmatic and more performant plan. This saved time and money during development, but also introduced a lower unit price without compromising on the original requirements. 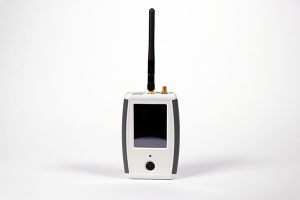 For a Belgian network operator, Screvle has developed a smart controller. This device allows better tuning of public lighting in districts in accordance with local requirements. From now on, the network operator can remotely switch on and off lamp posts without requiring manual actions on location. In a matter of just a few weeks, Screvle has delivered three Proof-of-Concept devices. In a next step, the devices are being optimized for volume production. Sometimes the Proof-of-Concept step shows that a project is economically viable. In one case, the project idea was discontinued after executing a market study based on the Proof-of-Concept model. The price of an alternative solution previously offered to the customer, was tens of thousands of Euro higher than the cost of Screvle’s Proof-of-Concept. By collaborating with Screvle, the customer was able to save this extra cost. Today, phased approaches are often applied in software development. The unique solution of Screvle also makes this possible for custom-electronics. Through its platform-based approach, Screvle has built a track record, with orders varying from tens to thousands of devices per year. During this stage, Screvle takes on the design work. For most customers, the design consists for 80% or more out of existing Screvle platform modules and a smaller portion of custom work. Initially, Screvle starts with engineering the necessary elements and gradually adding extra functionality driven by market demands. Essentially, the engineering phase, which includes design certification, prepares the product for production. For Rombit, Screvle developed the electronics of the world’s first wireless, digital traffic sign. After an internal research process, the customer was looking for an industrial version that could be produced more affordably. Screvle was able to minimize the technical and business risks and rapidly came up with a reliable and fully functional traffic sign. Anticimex, a leading specialist in pest control with 15 years of experience in 24/7 monitoring, was confronted with the fact that suddenly its existing solutions could no longer be delivered. A product upgrade was built but the adapted mousetrap did not function properly. Afterwards, Anticimex joined forced with Screvle, which realised the product upgrade and took the mousetraps in series production successfully. The days a project stops with the delivery of the product have long gone. 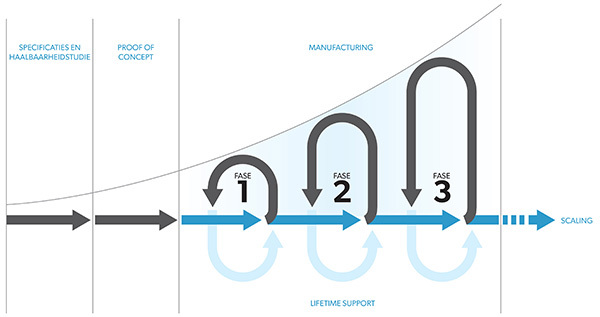 End customers expect that the product evolves permanently and is supported technically throughout the entire product lifecycle. Screvle operates as a partner and single point of contact, and supports the customer with any further integration needs. When encountering a problem, Screvle specialists are there to identify the problem and come up with a suitable, workable solution. The lifetime support of Screvle offers customers plenty of advantages that save time, money and effort. The customer can opt to work with a device management system in order to execute many tasks remotely. This allows their products to be monitored centrally through the cloud. They can digitally intervene e.g. by performing updates and resolving problems, often without end users noticing. For the company Electronic Design, Screvle offers diverse services related to Lifetime Support. As Screvle systematically improves its platform and extends it following a roadmap, the customer received a free upgrade to a new processor. In addition, the customer can monitor its products and offer remote support.